Numerous other states and even other countries are contemplating how to best address the issue to optimize water resources safely. In recent months, states including Florida and Minnesota have put forward plans to reduce the presence of nitrates in their local bodies of water. Wert said that as new treatments and technologies emerge in the water innovation field at a reduced cost, Nevada must search for sustainable solutions to address its water quality concerns. SNWA partnered with Israeli company, WellToDo, to implement a pilot program using an innovative approach to address the groundwater nitrate issue. “The issue of nitrates in groundwater is relevant to a lot of communities and WellToDo’s approach was not one that we had seen before,” said Nate Allen of WaterStart. The pilot program in Nevada is a collaboration among WellToDo, WaterStart, the Southern Nevada Water Authority, Corona Environmental Consulting and the government of Israel. WellToDo was chosen to address the nitrate problem at SNWA because they offer a unique solution that does not require disposal of leftover toxic waste from a treatment process, as many other potential fixes do. Early pilot testing with the SNWA showed proof-of-concept and demonstrated that the system can effectively remove nitrate and perchlorate from source water. “Other methods collect the nitrate or contaminant in a small volume of water, so it solves the problem with the drinking water, but 10-15 percent of the water is then very, very contaminated,” says WellToDo Chief Executive Officer Hovav Gilanhe. “It’s not solving the problem. It’s just moving it somewhere else.” That somewhere else is generally a certified landfill — a costly proposition that may also involve regulatory challenges in transportation of the waste. SNWA was impressed with more than just the ability to remove nitrates from groundwater with creating toxic waste. “The removal of perchlorate was a surprise. That had not been researched previously and presents another potential application for the WellToDo technology,” Wert said. SNWA and WellToDo will continue to analyze, troubleshoot and optimize the process as they learn more from the pilot project. They have already made adjustments during the pilot that they believe will allow for development of the technology and refinement of the process for such projects in the future. For instance, according to Wert, they have learned through the pilot that ammonia and nitrite can be produced as byproducts of WellToDo’s reduction of the nitrates to nitrogen gas, and they are now working to minimize production of these additional products. WellToDo utilizes its catalytic reduction process to eliminate the common pollutant nitrate from drinking and waste water. WellToDo’s product is one of the earliest-stage innovations in which WaterStart has invested so far, in large part due to its novel approach to addressing the excess nitrate problem. Prior to its Southern Nevada pilot project, the company completed two successful pilot tests in Israel. It is also conducting pilot testing with American Water in Illinois. The partnership with WellToDo is the first time WaterStart has jointly funded a pilot with the government of Israel.  Due to the Middle Eastern nation’s shared need for clean water technology in the desert and their robust water innovation program, Israel has formed a strong partnership with WaterStart through its national innovation authority.